The Materials Center of MINES ParisTech invites postgraduate students to a doctoral course on fibre-reinforced composites. The three-day course is organized as part of the FiBreMoD project. It will be held in Paris from 25th to 27th October 2017. 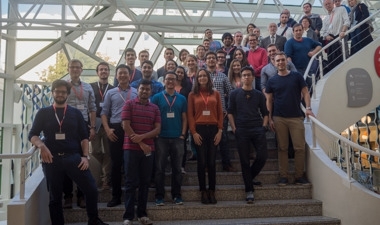 The Autumn Lectures are envisioned to give postgraduate students an overview of the state of the art regarding fibre-reinforced composites, their constituents, manufacture, applications and failure mechanisms. An aim of the lectures will be to broaden the knowledge of participants and to introduce them to a wider range of composites and related techniques than the may meet in their specific postgraduate studies. The students will be able to discuss issues related to fibre-reinforced composite characterization, failure processes and models, as well as other related topics with composite experts from several European countries. The lecturers will include: Prof. Alexander Bismarck (University of Vienna, Imperial College London), Prof. Anthony Bunsell (ParisTech), Dr. Peter Davies (Ifremer), Prof. Andrew Long (University of Nottingham), Prof. Véronique Michaud (Ecole Polytechnique de Lausanne) and Prof. Albert Turon Travesa (University of Girona). 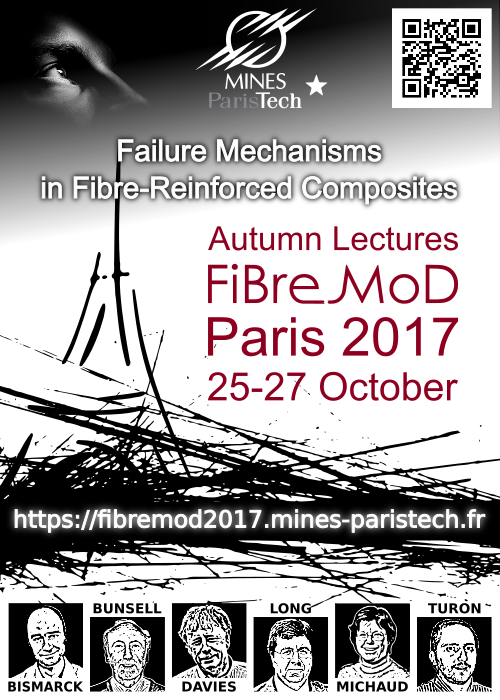 FiBreMoD 2017 Composite Autumn Lectures were held in Paris on 25-27 October at FIAP Jean Monnet.